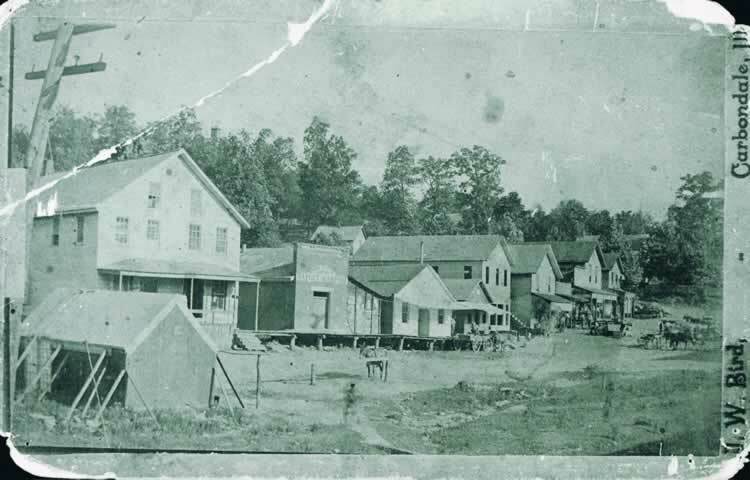 Ask any Makanda resident what makes Makanda different and better than other surrounding towns and you'll probably hear responses like beautiful, scenic, quiet, and unlike any other town in Southern Illinois. Makanda is known for it's unique shops and businesses on the boardwalk - unlike anything else you'll find. 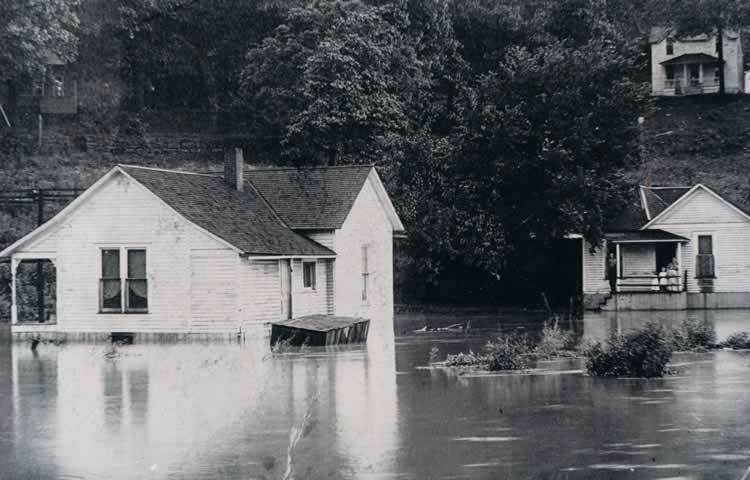 Makanda is the Gateway to Giant City State Park with the Shawnee Hills Wine Trail and the scenic River to River Trail passing through the village. 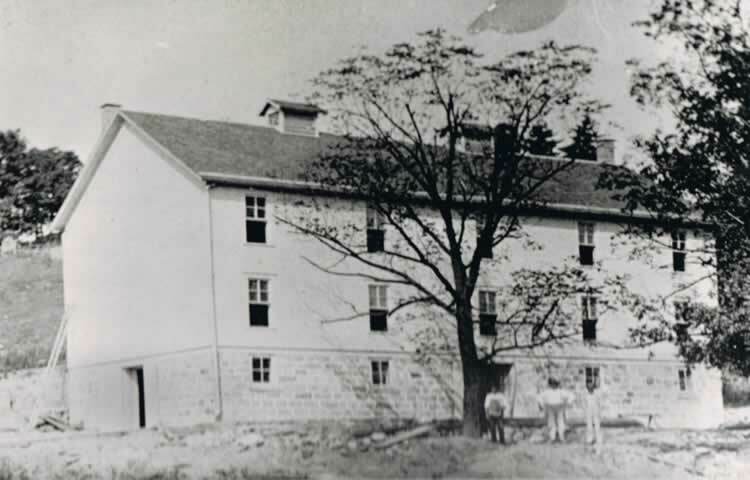 Makanda got its start in 1845 as a boarding house and construction camp for the Illinois Central Railroad. Makanda was been known by several names of Markanda, Markands, and Markauda. 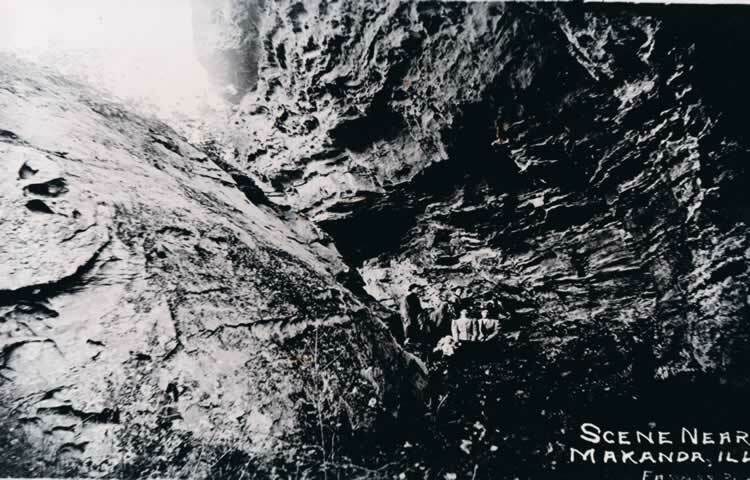 In 1872, it received its present name of Makanda and was named after a local Indian chief. 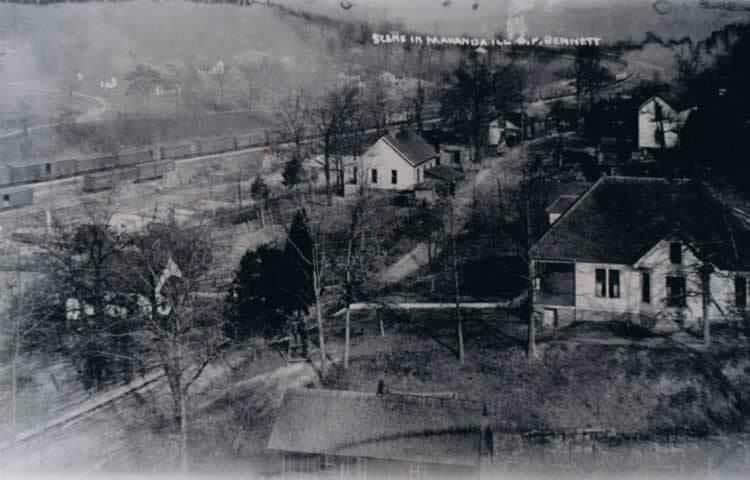 The village was incorporated on February 7, 1888. 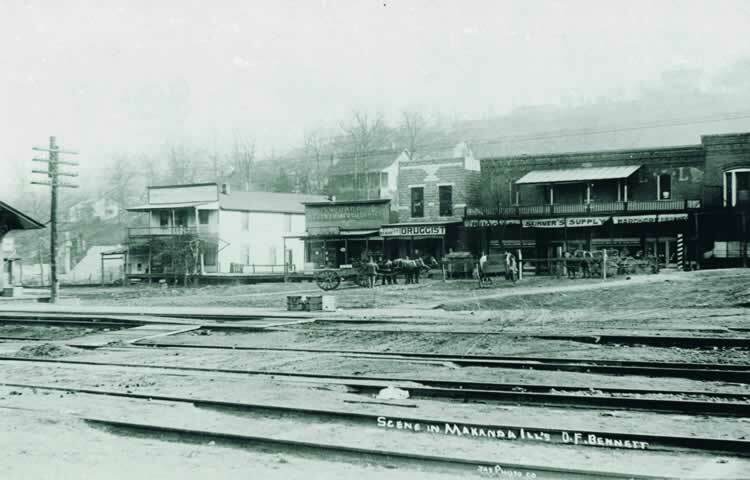 The economy of Makanda was once very closely tied to the railroad. 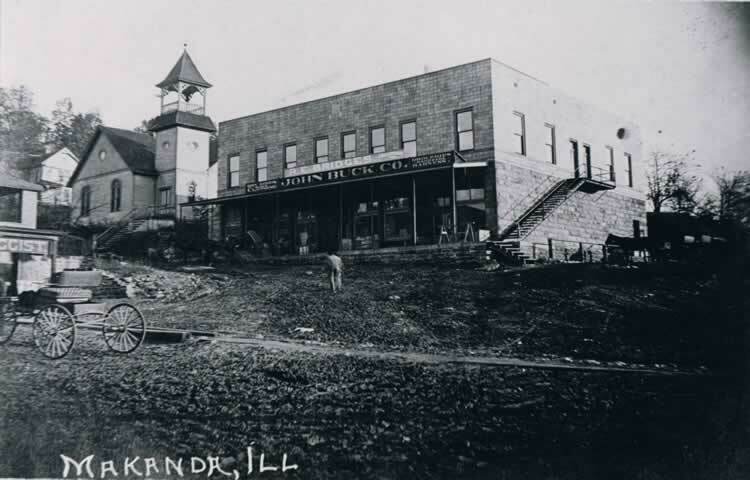 Makanda was a major shipping hub for Chicago for fruits and vegetables. 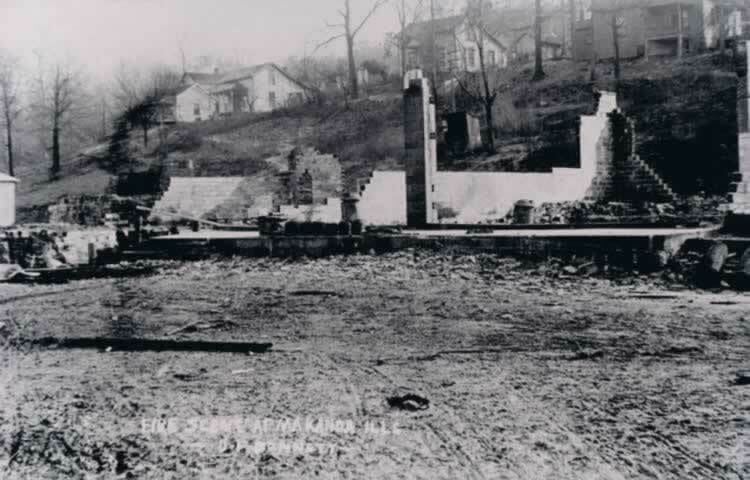 The community once stretched up and down the valley and hillsides with a boardwalk extending to the entrance of Giant City State Park. 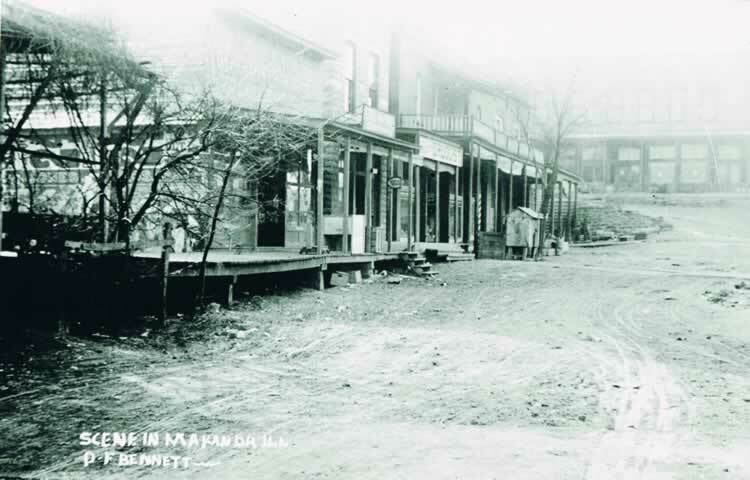 Makanda was a thriving town with grocery stores, a bank, barbers, a dentist, three doctors, an undertaker, hotels, a jail, and various other establishments. 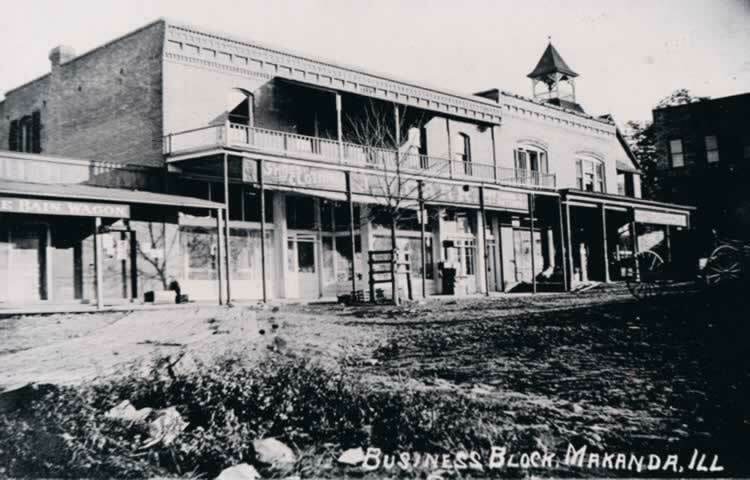 Makanda has survived multiple floods and fires that have claimed the downtown buildings such as the L. L. Bell building and also surrounding buildings and houses. 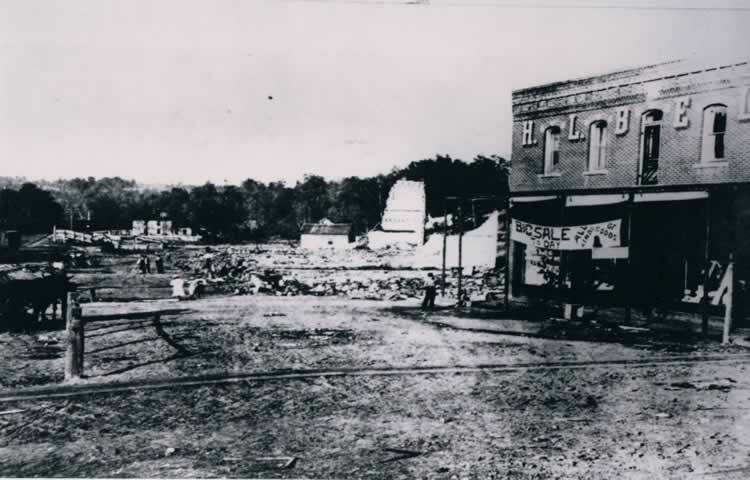 Each time the town was rebuilt. Present day Makanda has become an affordable place for artists from Southern Illinois University and the surrounding areas to create and display their work downtown on the boardwalk. Makanda is a small, thriving community and home to the Vulture Fest held the third weekend in October. The Vulture Fest features food, live music, and art. Eclipse Centre in 2017 & 2024! 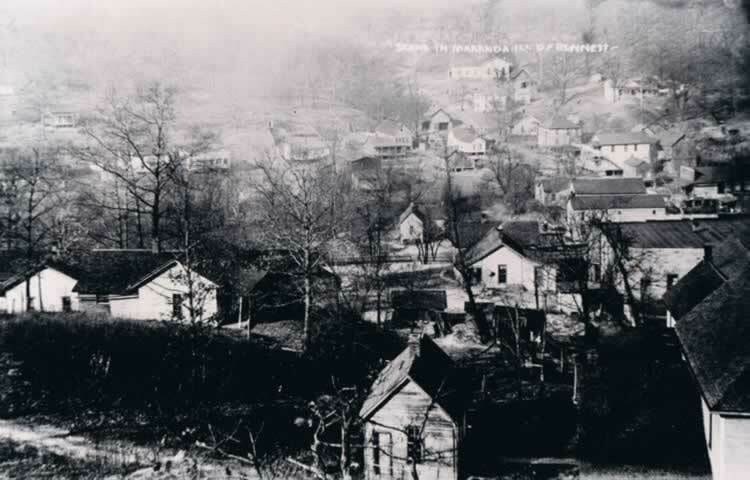 The Village of Makanda was established in 1845 and incorporated in 1888. Former U.S. Senator and Democratic presidental candidate Paul Simon was a long time resident of Makanda. The Smiley Face Water Tower has the Simon trademark bow tie in remembrance of Simon. Upon his death in 2003, he was buried in the Rowan Cemetery in Makanda. 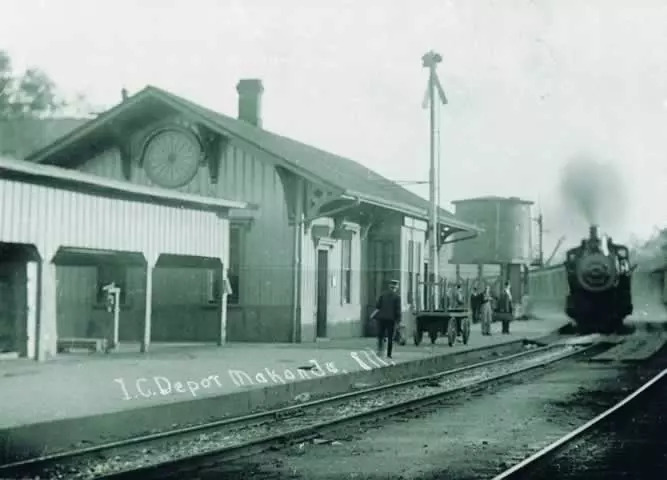 Makanda has a rich history which started as a camp for the Illinois Central Railroad. 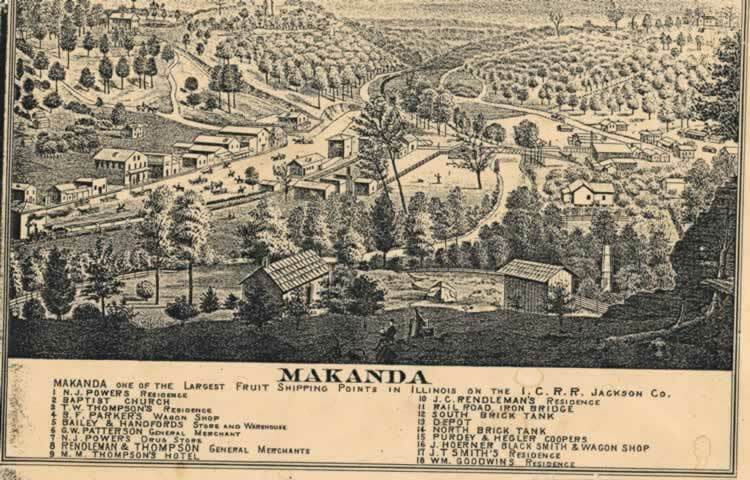 Below are some articles and pictures detailing Makanda's history. 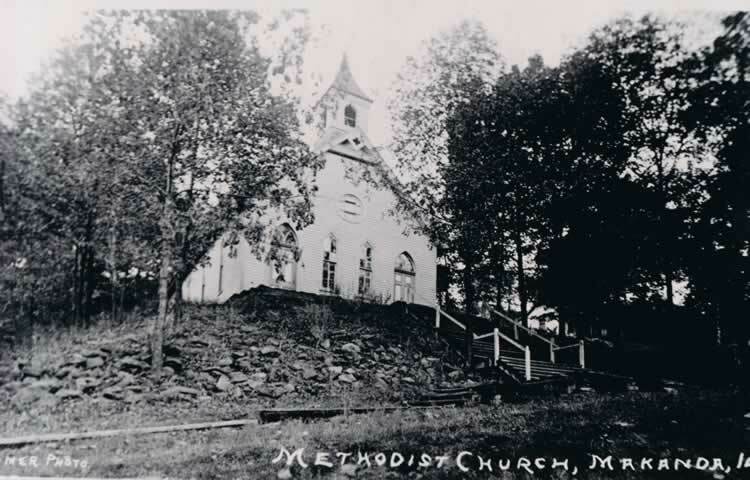 Click on any of the pictures below to view all Makanda historic pictures. 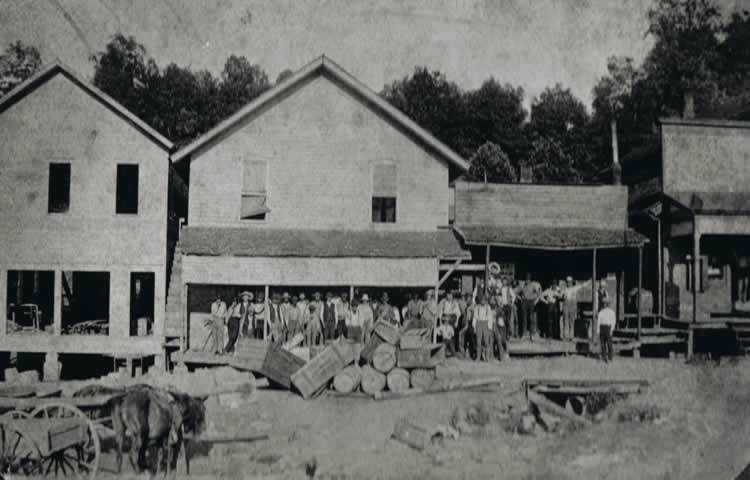 The community of Makanda began with the building of a boarding house and construction camp for the Illinois Central Railroad. 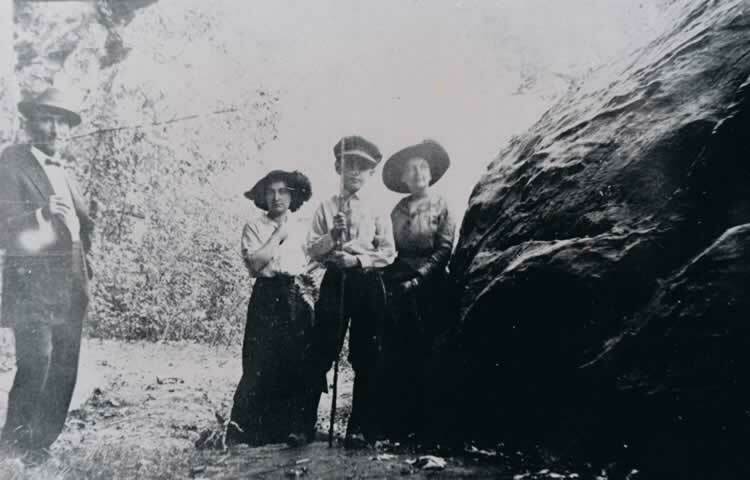 In the earliest documents known, the valley was known as North Pass Cobden to the south was referred to as South Pass, and Alto Pass to the west was, of course, known as West Pass. Through each ran a line of the railroad. 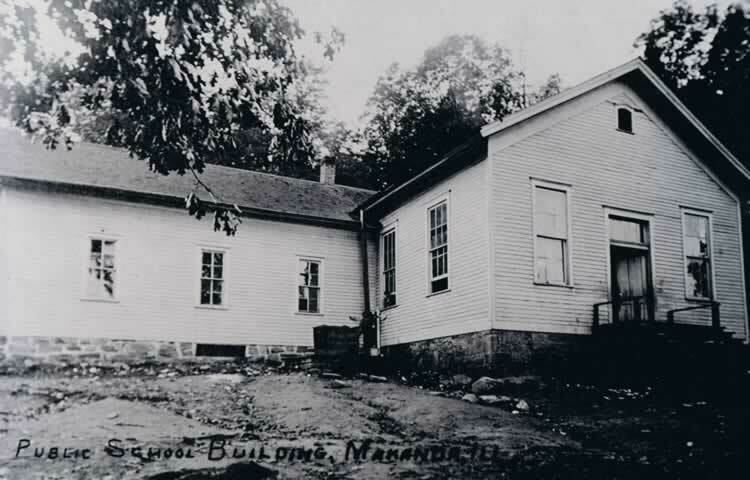 By 1857 the name had changed to Markanda or Markands; historians are not certain. 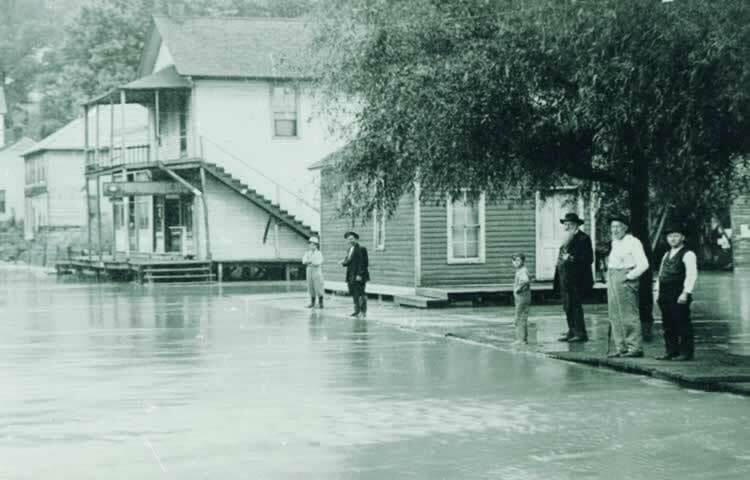 When the first official postmaster came to town in 1870 the name was Markauda. In 1872, it received its present name which allegedly was the name of the Indian chief last inhabiting the section. 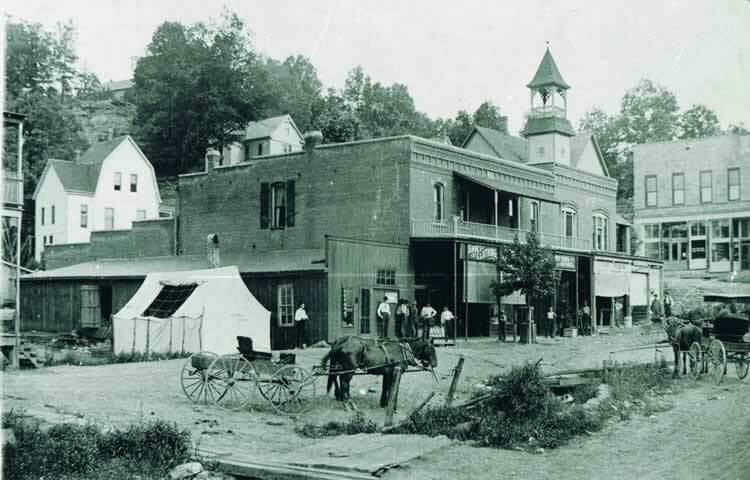 The village incorporated on February 7, 1888. 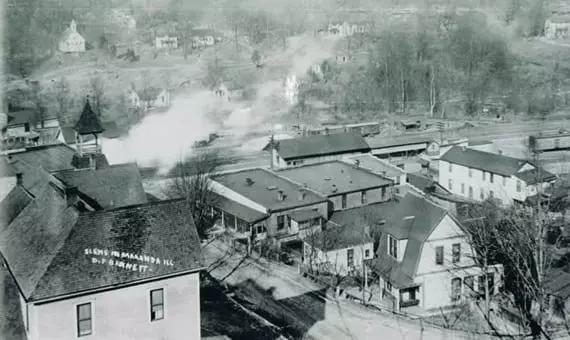 The prosperity of the community was tied closely to that of the railroad. Fortune offered the advantage of being only one day’s train ride from the market of Chicago. As such Makanda became a major shipping point for fruits, vegetables and flowers. Residents living today can even remember the major shipments of green onions, asparagus, rhubarb, strawberries, raspberries, tomatoes, sweet peppers, cucumbers, peonies, gladiolas, cosmos, daffodils and of course, sweet potatoes, peaches, and apples. Remnants of the daffodil crops dapple the valley with beautiful yellow blooms in the summer. 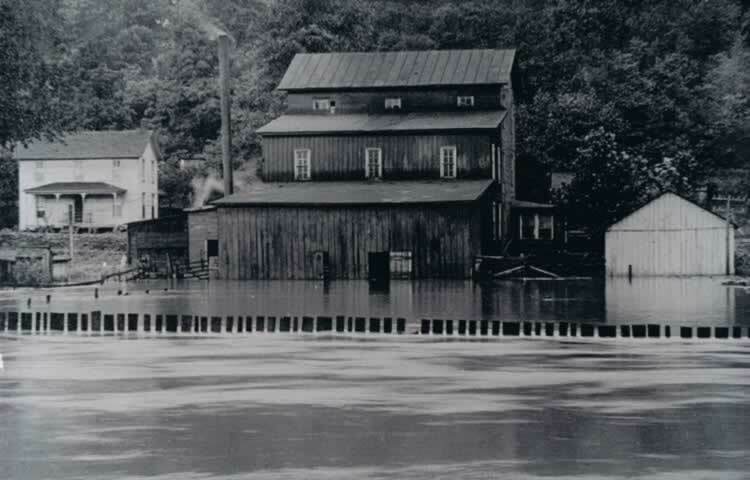 At one time a large business community stretched up and down the valley and hillsides. 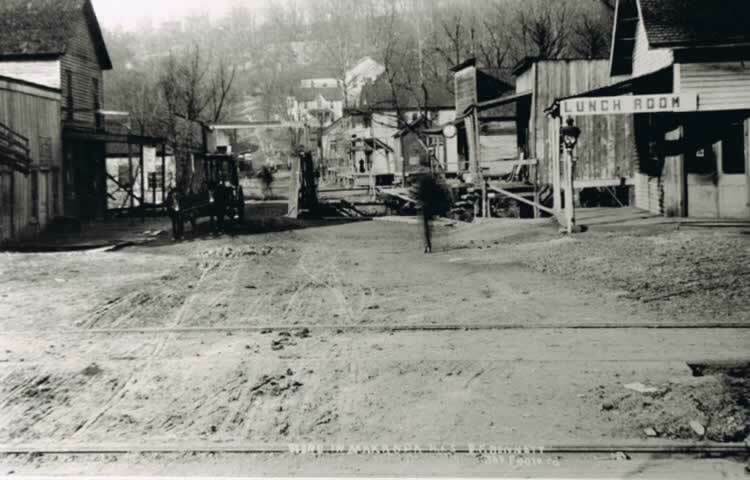 In fact, a boardwalk used to extend from H. L. Bell’s Buildings to the entrance of Giant City State Park. Business thrived. 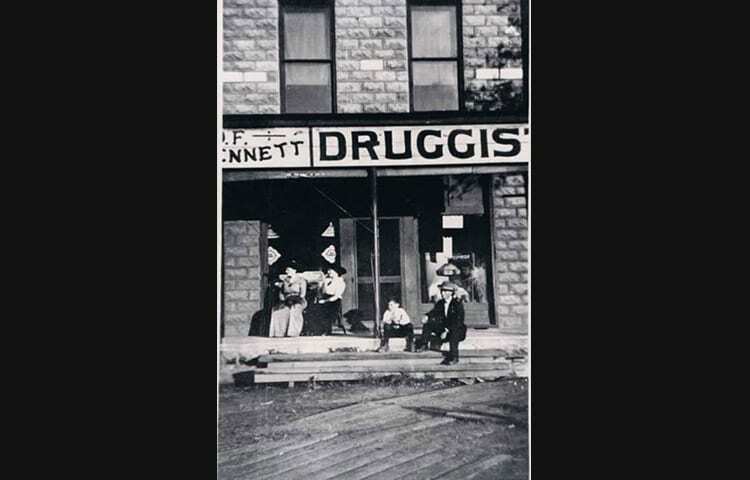 There existed numerous general or grocery stores, a bank and a coffee shop, a shoe repair shop, 3 or 4 barbers, 3 doctors, a dentist, a druggist, an undertaker, a photographer, a grainery, a flour mill, a haberdashery (men’s clothing store), a blacksmith, several sweet potato storage houses, hotels, a plant nursery, a blacksmith, a police magistrate with a jail, and many other establishments. Ask any current inhabitant of the North Pass and they will likely be the first to admit that some of the Makanda of today is not the same as the Makanda of old. There are, however, several people who will go on to say the village, the heritage the spirit of its people and their vision of the future will not die. They will say that Makanda, like the Phoenix, shall rise again as it has done several times. It can and will be restored, preserved, rebuilt, and instilled with a sense of purpose that will lead it to prosper in the years ahead. 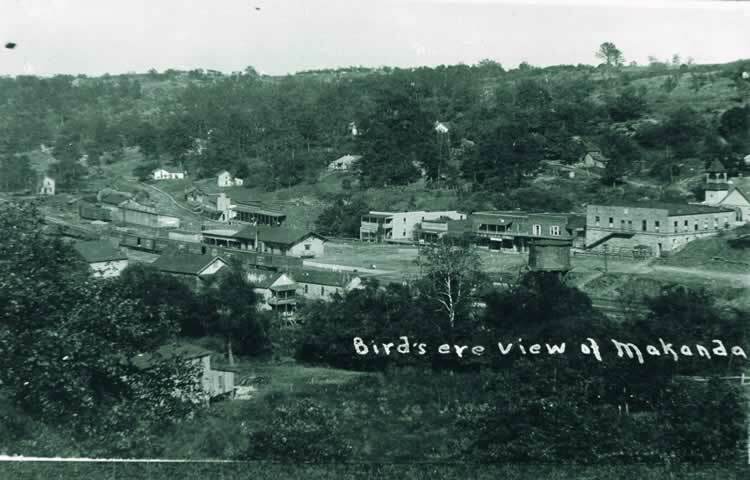 Makanda is a town ensconced in natural beauty that has served many functions in Southern Illinois, from a major shipping center to a Valley of the Arts. It is nestled in the southeast corner of Jackson County, with hills and valleys and is just west of Giant City Park. 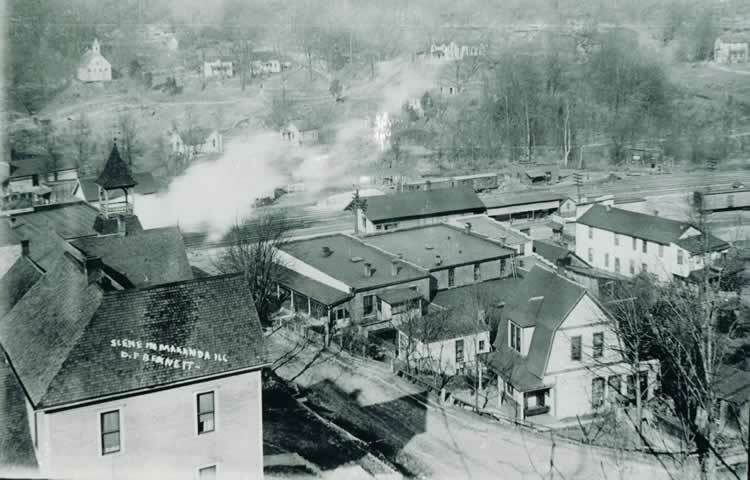 It was the establishment of the Illinois Central Railroad tracks in 1845 that established Makanda as a fruit shipping hub for Southern Illinois. 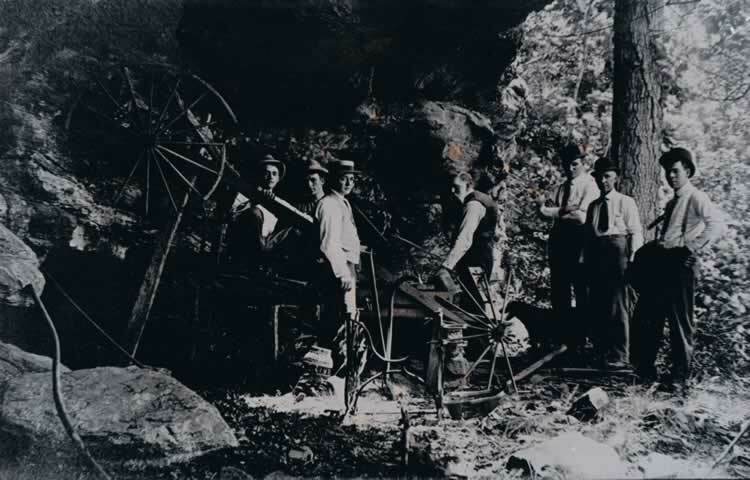 Allan Stuck, sculptor and jeweler, said the railroad made an impact on Makanda’s economic climate. 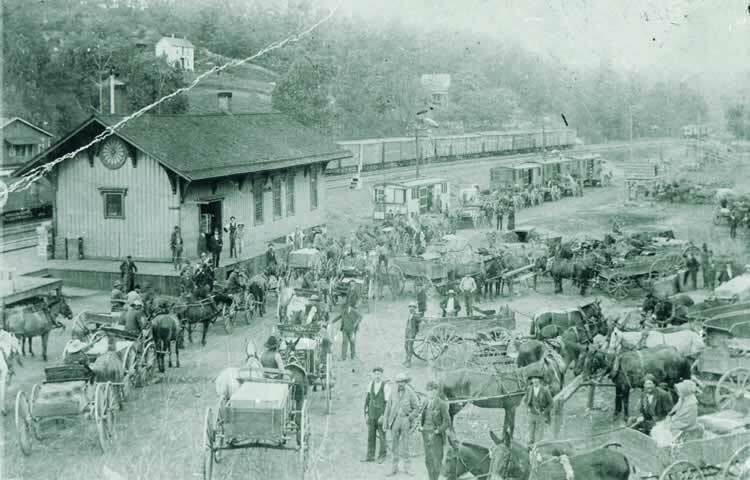 The trains ran daily to Chicago to ensure the fruit arrived fresh. Then technology allowed fruit to travel farther, bypassing the village. “All of the farms down in Cobden, in Anna and Jonesboro seem to get more water than all of us in the little towns,” Stuck said. “Then refrigeration came into existence and Makanda stopped being important as a shipping area,” Stuck said. 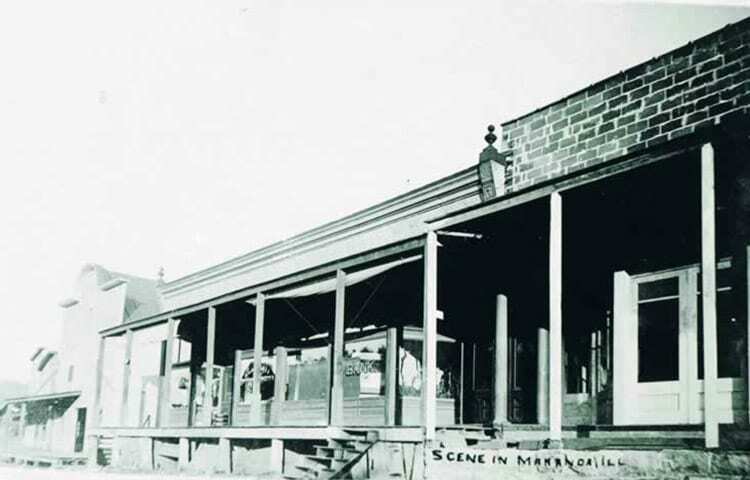 Susan Addington, employee of Visions Art Gallery described the desolate scene in Makanda after refrigeration hit the rail lines. 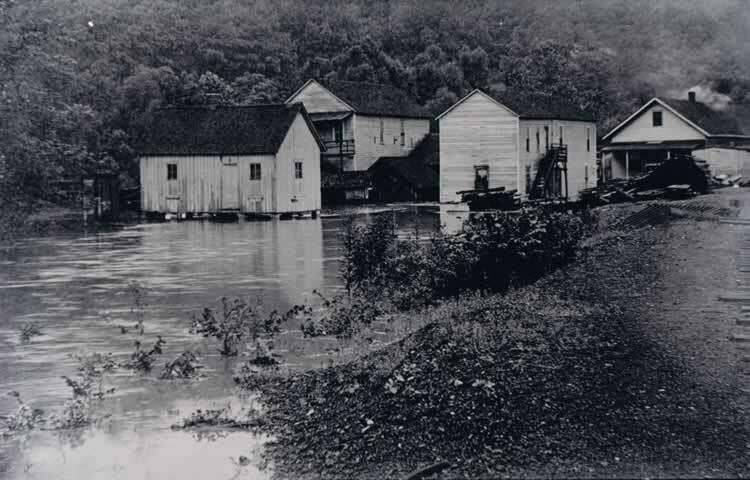 Because of multiple floods and a fire that claimed businesses in the valley, prices were low and the population had dwindled. The affordability led several Southern Illinois University Carbondale artists to change their residences in the early 1970’s. Shortly thereafter, Makanda found its resurgence as an artist haven. Dave Dardis, proprietor of Rainmaker Art Studio on the boardwalk, moved to Makanda with a few art school friends from SIUC in 1973. He and his two partners rented out studio space for $40 a month. 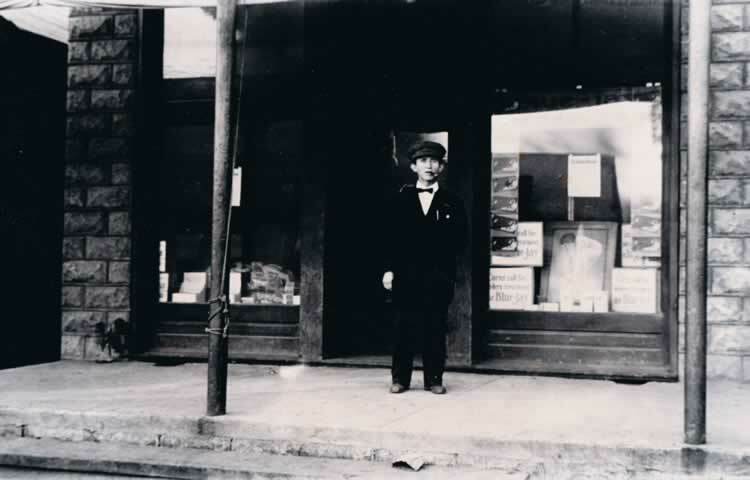 Dardis and his two partners traveled across the country selling wares, sometimes for a year at a time. Over the next 35 years, more artists followed in Dardis’ footsteps and settled in the village. 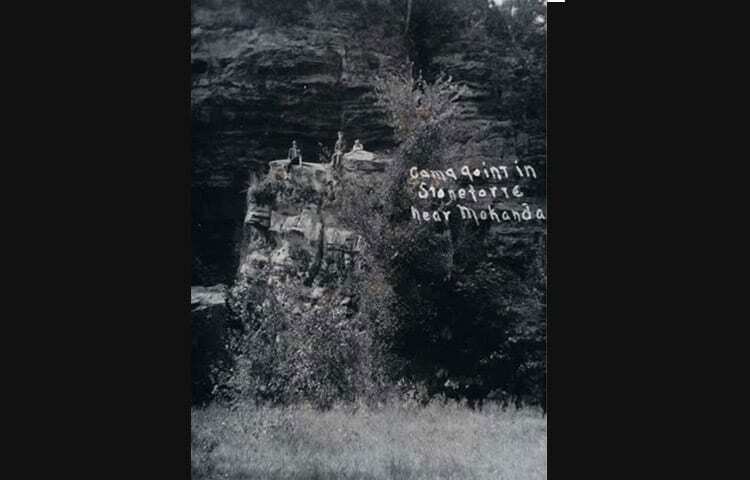 Stuck moved from Carbondale to Makanda more than 36 years ago. He was offered a chance to by a house from a friend’s grandfather. This Makanda loyalist sentiment is reflected in the housing market. Even though the population is low, available property is scarce. Because of the strong artist migration, Makanda is a thriving center for arts. Local art shop, Visions Art Gallery features works from more than 100 local artists. Makanda boasts two fairs per year in celebration of their rich arts and crafts foundations, with the annual spring Makanda Fest and the fall Vulture Fest. (Makanda Fest is the first weekend in May and Vulture Fest is the 3rd weekend in October) The festivals feature live music, arts and crafts and in the fall, hundreds of black and turkey vultures. Postmaster Laura Depolo said the vultures take temporary residence in the trees between the post office and Stuck’s studio. For Stuck, his favorite part about Makanda is being surrounded by nature. “I think that between our little village down here and the state park behind us, people just swarm down here,” Addington said. So trains were used on steel rails to pull the heavy loads. Andy many legends came to be around the trains, of course. The story of a dog is told in Southern Illinois. 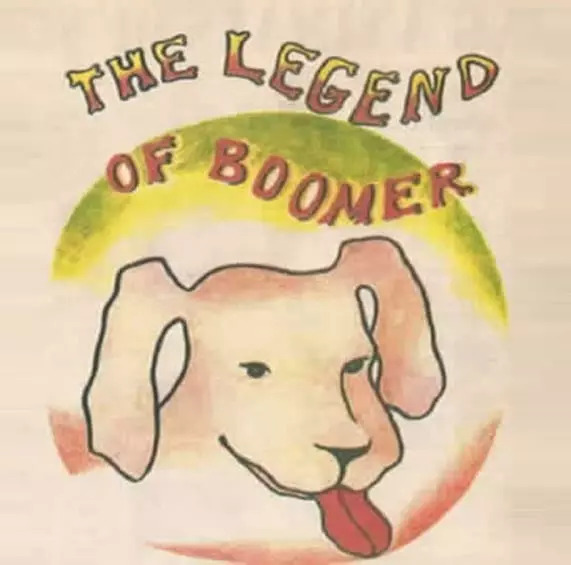 Boomer was a hound dog’s name, a name that speaks of joy. Who had no mean bones anywhere, and lived a life of fun. His master was a fireman and he worked for the I.C. Because if truth be really known, he’d rather run than ride. The fastest train the I.C. had, of that there is no doubt. Because the train must make the trip and never stop! No, never! The fireman was almost afraid to use the firebox door. The train went fast as any train had ever gone, you know. And it’s a wonder that poor old thing did not just blow. And flames flew from the wheels so hot they would have cooked your geese. So “Hotbox!” was the call make, and “Hotbox!” they did shout. They didn’t fetch, play dead or heel, or manicure, or strut. They knew to eat and sleep and hunt, and how to lift a leg. By lifting leg and aiming, on that hotbox did rain. But for the big Boomer, well, it was his final outing. And sad to say that on that day it wounded Boomer mortally. Makanda Illinois is where the hero lies, in peace. For Boomer knows he did his duty, though is life did cease. For in our hearts we know it is the truth, not just a story. © 2019, Village of Makanda. All Rights Reserved.